there are some new animals at the prospect park zoo. i need to get a digital camera so i can take some pics but for now i’ll do what i can. click their names to see some great videos. first, the grey kangaroo joey has a name now. Riley was out of the pouch and hopping around with her mom and the wallabee, eating some twigs and snacks from the zookeepers. the male in the enclosure is already getting pretty amorous again. in general the kangaroos seemed a lot less timid than in months past. maybe just because she was pregnant she was hanging back in the trees but now i see them out in the open through most of the afternoon and once i even saw riley and her mom sitting in a bush right up at the path. very close. two of the best places to see the kangaroos and wallabies are a) before you enter the park through the south entrance near the carousel look through the mesh fence and be quiet. on hot days they lounge back there. and b) as soon as you enter the park there’s this half circle concrete bench to the left and if you sit or stand on that you can see them if they are hiding in that back corner, and they are only like 10-20′ away. i don’t know if they got moved or what but there aren’t any more rock hyrax’s in the animal lifestyles building. 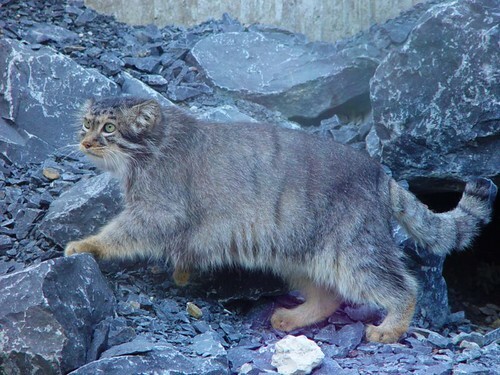 they have been replaced with a pair of pallas cats, Nicholas and Alexandra. if you don’t see them immediately step back and look way up on top of the rocks in the back left corner against the wall. they are shaggy and have hilarious expressions. they’re pretty active too. 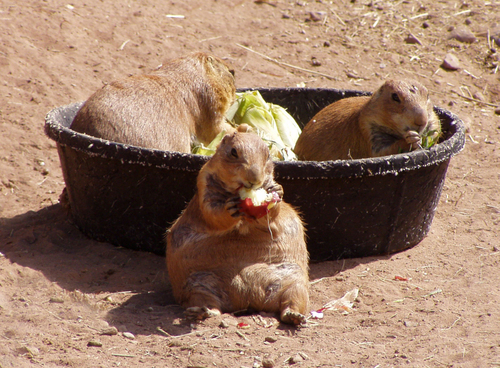 the prairie dogs are back from hibernation and they look a little haggard. there are all these dark bald patches on them all. the keeper said they fight a lot underground throughout the winter and they always come up looking like that. i’ll try to find some pics. saw some grackle’s trying to impress some females with their dance moves at the edge of the pond. aw spring. 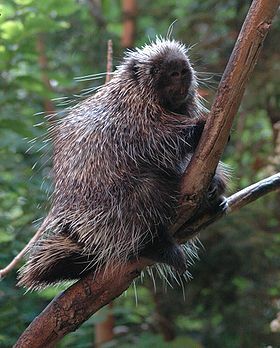 and finally here’s a good video of Brody the porcupine going for a morning constitutional.